Odawara is a beautiful city just south of Tokyo. It is only two shinkansen stops from Tokyo station and many people use Odawara Station as a transit stop on their way to Hakone. Hakone is one of Japan`s most beautiful areas offering hot springs, museums, culture, and history. Odawara is a historic castle town full of history, culture, and wonderful experiences. Odawara station is a stopping point for a number of transportation options that will help you get around the area. Shinkansen: Visitors can arrive from Kyoto or Tokyo on the Kodama Shinkansen. The stop after Odawara is Atami Only 45 min from Tokyo. Odakyu Line: This popular option will take you directly from Tokyo`s Shinjuku station to Hakone-Yumoto Station. The popular “Romance Car” is also run on this line. Daiyuzan Line: This local train line connects Odawara with Daiyuzan Station, which is the entry point for the wonderful zen mountain temple of Saijoji in the Ashigara Mountains. 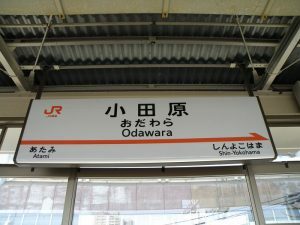 JR Gotenba Line: The Gotenba doesn’t leave from Odawara Station, but rather two stops away from Odawara`s Kouzu Station. This is a wonderful line that will take you all the way to Numazu in Shizuoka passing through deep valleys and in front of the majestic Mt. Fuji. There are two basic options to get you from Odawara to Hakone. The first is the Odakyu Line that will take only about 15 minutes to get you to Hakone Yumoto Station. Along the way there are some worthwhile stops to be made at one of the three stations between Odawara and Hakone. The Hakone-Tozan Bus has a number of lines connecting you to various places in Hakone. Outside the East exit of Odawara Station is the bus terminal with lines taking you to Togendai, Moto-Hakone, and Kowakien. All these lines make a stop in front of Hakone-Yumoto Station. Walk the historic hillside villas that were once the vacation spot of politicians and business moguls seeking recluse from Tokyo. This area has nice views of the bay and temperate climate that attracted many interesting people. The Matsunaga Memorial is the former villa of one of Japan`s most successful businessmen. 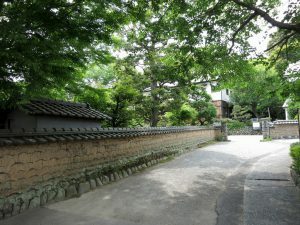 It is now dedicated to his love of the tea ceremony and the grounds and surrounding areas are great for a stroll. 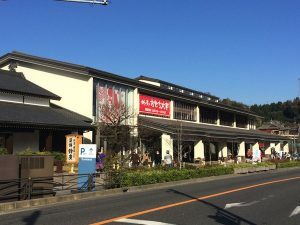 Just steps from the station is the Suzuhiro Kamaboko Village and Hakone Beer Brewery. A wonderful place to spend a few hours learning about, eating and even making your own Kamaboko. Kamaboko is an Odawara speciality that has been made in the area for centuries. It is a fish paste cake grilled, steamed, or poached, but always delicious. It is a wonderful pairing with the local craft beer called “Hakone Beer” made in the Kamaboko Village. A great stop on you way to Hakone. Only five minutes from the station is the Kanagawa Natural History Museum. A surprisingly beautiful and well presented museum telling the natural history of the earth and the area. It is great for children! Everyone loves dinosaur bones! In spring the locals love to head up the hill on a short hike to see the weeping cherry tree blossoms plated by a famous monk over 300 hundred years ago. Getting to Hakone from Odawara is short, simple, and an opportunity to see some interesting things along the way. Feel free to use our AI chatbot on Facebook if you have any questions of comments!